Winshuttle turned 10 this year and we just wrapped up a gathering of almost 400 customers, partners, and employees at the Winshuttle User Group (WUG) conference. The event was an unqualified success! The location — Coronado Island in San Diego — was outstanding, the logistics were impeccable, and the camaraderie and enthusiasm in the Winshuttle community was infectious. The consistent theme in every story was how our software has not only significantly improved their business, but has also has had such a meaningful personal impact on their work life! These customers are solving problems, they are innovating, they feel empowered and are being recognized by their companies as heroes! 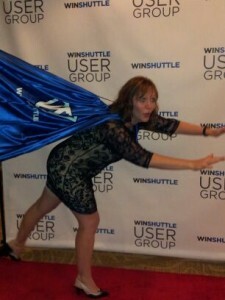 So many attendees told me that using Winshuttle is the best part of their day. Almost every customer at the WUG was looking for new ways to use Winshuttle and to expand the use of Winshuttle products in their organizations. There were so many customers who came up to me and told me about how they had simply taken on our products – even our newer Foundation solution – and with very little help from us implemented amazing solutions for their business. Solutions such as governance of customer and vendor data, finished good creation by like-item copy, personnel change request process, procurement process transformation, and finance process firefighting. 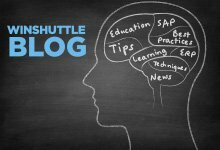 In our 10th year of operation, I still continue to be awestruck by the huge value that Winshuttle users are adding to their business. One Fortune 10 company expects to avoid $5million of costs in one year. Another large packaged products company estimates generating $28million of additional revenue in a short period of time. Other companies are able to reduce their process cycle times anywhere from 50% to 90%. At some companies, Winshuttle is always considered as the solution in any Lean Kaizen event. All of this value is created because empowered Winshuttle users at these companies continue to find new business process innovations. Winshuttle’s mission is to help everyday people improve their ERP-based business and every single empowered customer brings us one step closer toward accomplishing that mission. The challenge in front of us, however, is that we still have many, many miles to go. As long as there is a even one disempowered ERP user dealing with ERP’s lack of accessibly and usability — our work is not complete. The bigger challenge is to grow while preserving our core set of values around customer-centricity and creativity, which made us successful in the first place. Are you attending EMEA WUG? If so, please share what you learn in our LinkedIn group.